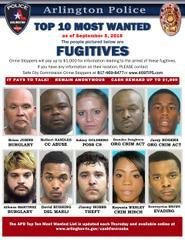 Help us find these 10 fugitives and Crime Stoppers will pay up to $1,000. Our Top-10 Most Wanted for the Week. Crime Stoppers will pay for any information that helps lead us to an arrest.